← Spring to Finish, Finit. 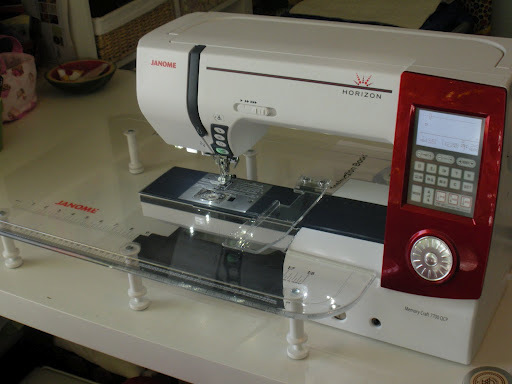 Saturday morning, I went to look at the newest Janome, the Horizon 7700. I’ve been curious about this machine since I first read about it in April. It was released on May 1, but June 5th was my first opportunity to make it to the dealer’s store to play with it. Saturday afternoon, I brought home a new toy. Yep. That’s right. After saying I wouldn’t buy a new model for six months or so, until I “found out if other people had troubles with it, or there were bugs to be worked out”, I brought one home 35 days after it hit the market. Loads of self-control, I have. Loads. But, I’m happy to say, after a week, I have no buyer’s remorse. This is a GEM! It’s removeable, but it will be great for parallel lines, hems, etc. 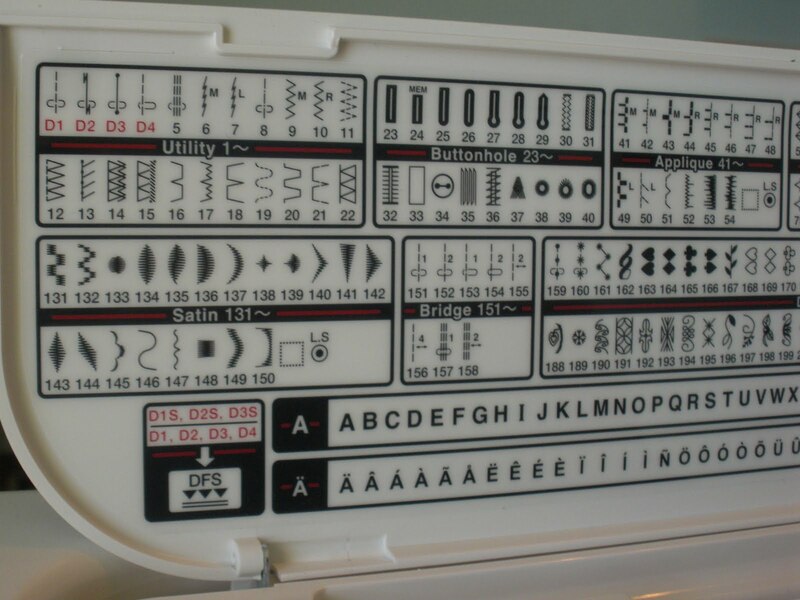 It also has a free-arm, that the earlier Memory Craft’s did not have, important feature for those of us who sew more than just quilts! It came with the plexi-glas extension table seen in the top photo… and it has “under-the-counter” lighting!!!! See: How smart is that?! 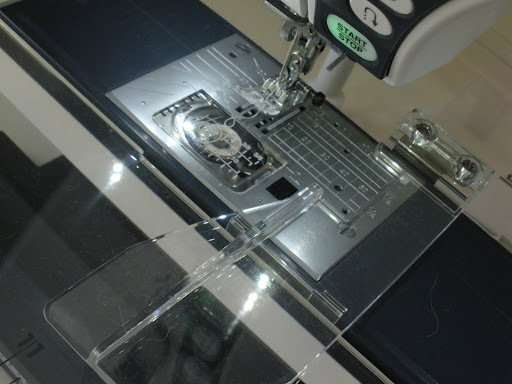 I can actually sew at night without turning on my Ott-Lite! 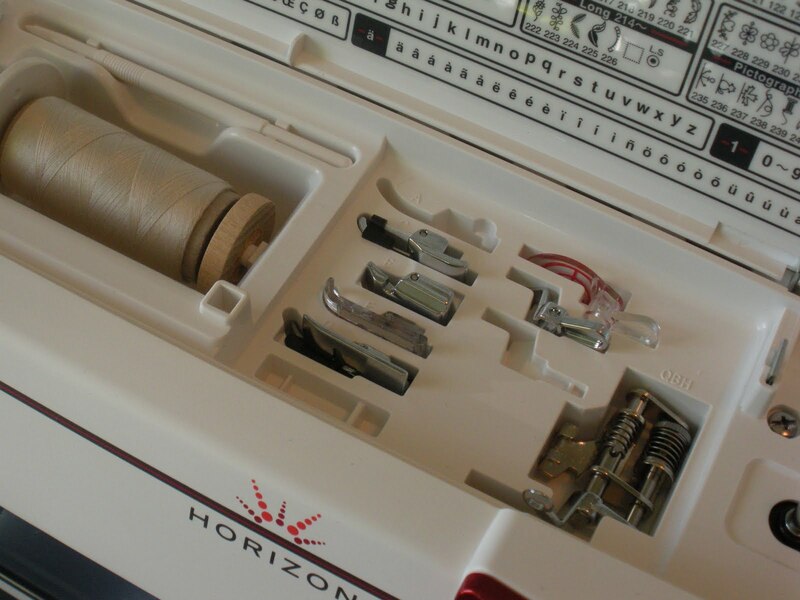 It also has a great lock-stitch, a built-in thread cutter, and a start/stop button that lets me sew without using my feet! The number of stitches blows my mind…I’m not a big bells-and-whistles kind of girl, usually, but this machine has me seriously excited! 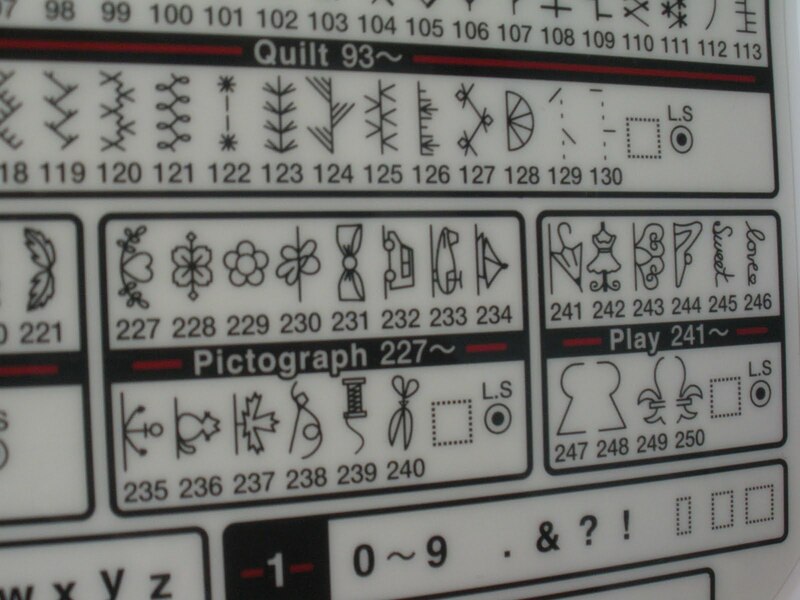 Do you see stitch number #242 up there? Seriously cute. 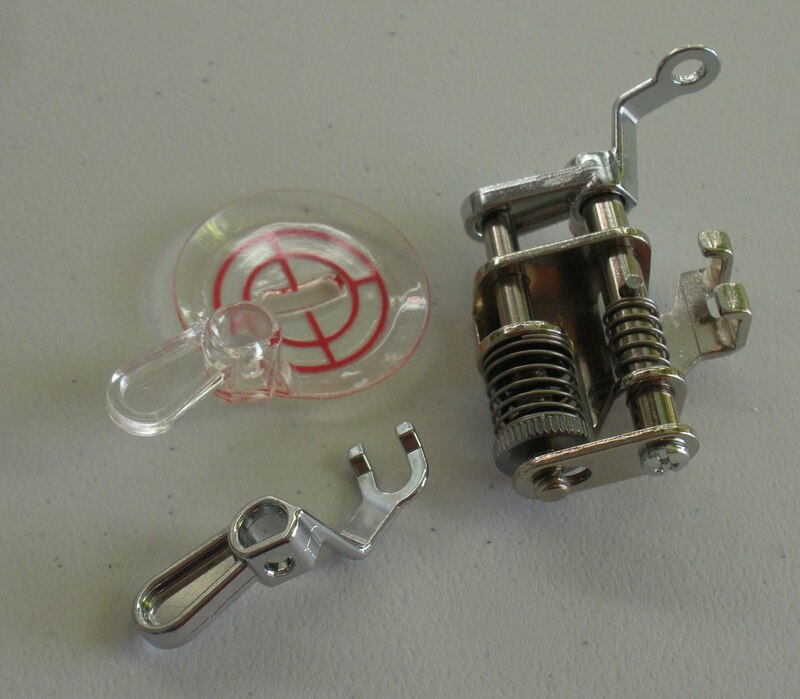 There is foot storage in the top, which unlike machines I’ve seen like this before, does not interfere with bobbin thrading one little bit. Here it is next to my Elna 6003, an average sized electronic machine, c. 2004. I’m going to be free-motion quilting a quilt this weekend, I can’t wait to push it through that generous sized throat! (a FULL 11.25 inches!) Other than playing with my new toy, I’m getting ready for a little trip… Next week, I’m hitting the road with my friend Toni…heading to St. Cloud, MN, to meet up with 10 Blog Quilters for three glorious days of sewing and talking quilts! Shelly S, Shelly P , Andrea , Mary , Amanda, Toni, Terri , Rene , Heather, will be joining Victoria and myself. Toni is the only one of this group that I have met IRL (in real-life). If you are heading to the MN Quilt Show next weekend, let me know! I’d love to meet up… It will be a great quilt blogger’s weekend! Wow, the new Janome does look like a dream — congratulations! I love my 6500, they are such strong machines. I will be in St Cloud for the show on Thursday; let me know if you will be there Thurs as well. Enjoy the show! Ooh Doris I'm so jealous! Wow…the Horizon sounds like a great machine! Must look it ASAP. 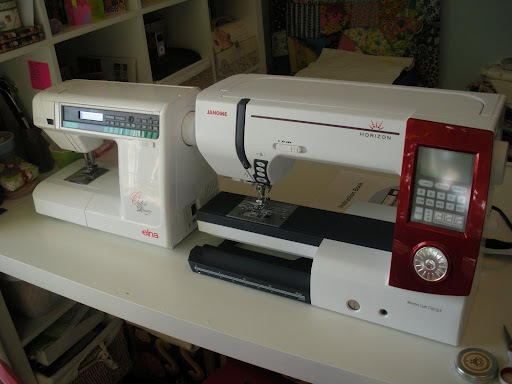 I am 'sort of' in the market…have been a loyal Bernina owner, but have sewn on a Janome 6600 at a workshop and loved it. Please let us know how you enjoy it as you continue to play with it. As a side note: the girl in your photo (I assume is you) has the same haircut my mother used to give me when I was little…that girl could have been my twin! DORIS!!! congrats on the new baby sewing machine! that ain't no baby is it? it's huge and fabulous! are you bringing her to the retreat so we can all play? 😉 I feel like the retreat is here! I leave 6 am tomorrow to be on my way to MN…me and B, ROAD TRIP!!!! I'm thinking we will hit the quilt show friday eve or saturday… hope to see some of you others there! So… whatcha going to name your new machine? I ***LOVE*** mine… I mean love it. While I'm a beginner, it helps my stuff look fab. 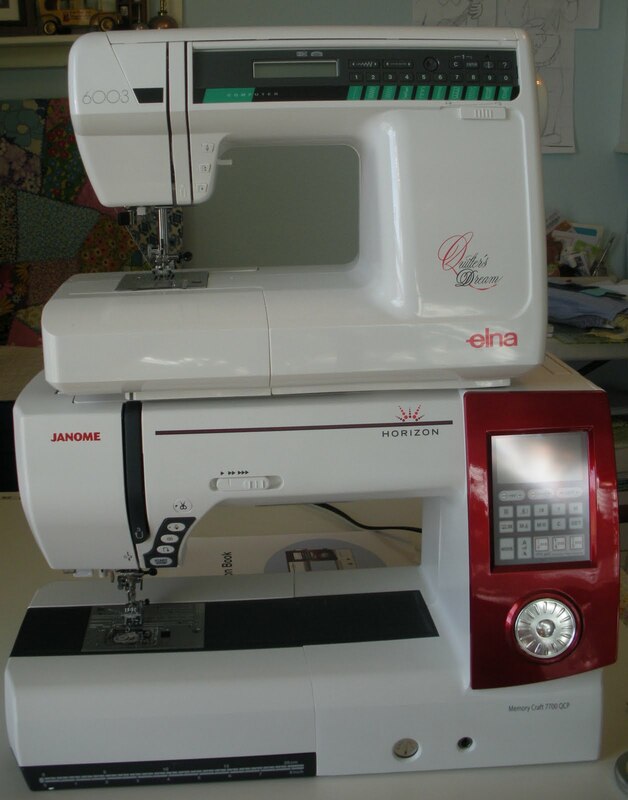 Looks like a great machine and with a BIG throat for quilting! Have fun playing with your new machine this weekend. And congrats on this purchase! It looks so fabulous. I love that under the counter lighting, the storage for the feet attachments, and that wide space for your quilt to fit through with ease. I am so excited for our retreat next weekend!!! 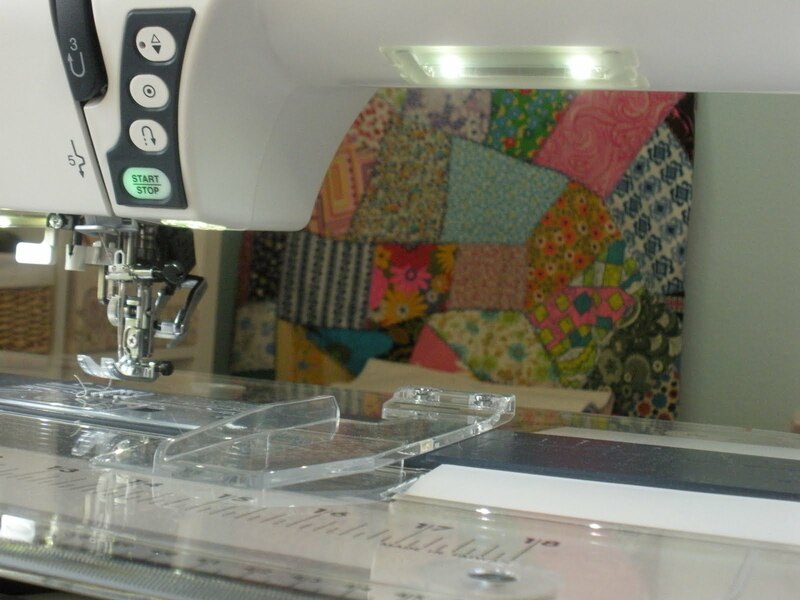 Between the new Janome and meeting up with blogger quilting friends, I can't decide which makes me more envious! I think I just need to be you for a while. Enjoy it all! Wow, that looks like a great machine. I'm so jealous. I'll have to check it out the next time I'm near one of the Janome dealers. Did you get it in Ames or Marshalltown? i'm excited to meet you there! whee!!! I will be in St Cloud for the show on Thursday; let me know if you will be there Thurs as well.